“We appreciate that your home is your greatest investment, and maintaining it can be an expensive business. But it’s an investment in your property and will ensure your home retains its value” Plascon Paint. 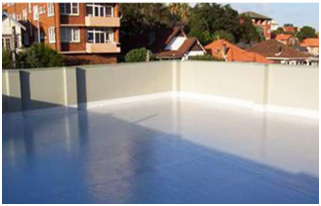 A t Build up Roof Repair and Paint we have experience with the all challenges posed in the maintenance of homes and commercial buildings, due to the unremitting South African climate. All project aspects are analyzed in order to select the correct product to give a lasting quality finish. This can only be achieved with good standing relationships with suppliers and the cutting edge paint product knowledge provided to insure exceptional paint projects. This supplier relationship equates to a reasonably priced solution for you or your business on paint projects that Build up can give a guarantee on. Due to the many aspects and different criteria relating to applications and repairs Buildup Roof Repair & Paint have numerous products, systems and solutions to solve and remedy each specific problem and meet all challenges. You can be assured that the technologically advanced products like Plascon, Dulux, Prominent, Cemcreet and 20 year guarantee products coupled with thorough surface preparation and correct application, will leave your home or business protected and looking well maintained for longer. Regularly attending training workshops at leading manufacturers and suppliers on new techniques and product secures the information flow to client. We Build up Roof Repair & Paint will supply and apply a paint product that will meet your needs and budget.